Maximize your brand exposure by serving your espresso to café owners, baristas and industry executives from all over the country. Espresso sponsors will be given their own branded portion of the “Bloom Espresso Bar” for one half-day. Maximize your brand exposure by serving your espresso to café owners, baristas and industry executives from all over the country. Brewed Coffee sponsors will be given their own branded portion of the “Bloom Coffee Bar” for one half-day. Custom branded bags for every attendee. Bag sponsorship increases your brand’s visibility– both during and after the event. Custom branded notebooks for every attendee. Notebook sponsorship increases your brand’s visibility– both during and after the event. Custom branded drinking vessel for every attendee. Drinking vessel sponsorship increases your brand’s visibility– both during and after the event. Be the first to welcome our attendees. Host the opening event and help kickoff Bloom! Keep our attendees happy with the help with lunch! Great topics, great speakers, great coffee and great connections can take a toll. Be the release after a long day of thinking! We’d like our attendees to experience Providence's craft community by visiting multiple locations to engage in discussion with other craft professionals. 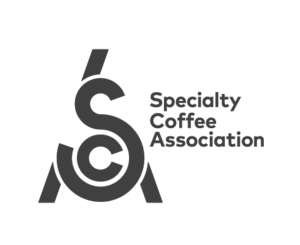 Participate by sharing your company's experience with coffee professionals from across the United States! Learn more via the link below.